Exercise Science Club gets created at CUAA! The Department of Health and Human Performance is excited to announce the creation of a new student club at CUAA. The Exercise Science Club is designed to be a service and fundraising-oriented club for Exercise Science majors at CUAA. While it will focus on health and human performance-related information and experiences, any CUAA student may join. 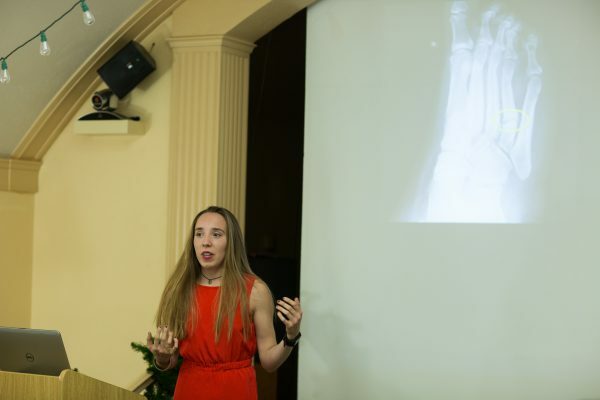 The club will support the students’ ability to continually expand their knowledge base, as well as travel to conferences and present the research projects they create during their undergraduate studies. It will provide opportunities for fundraising, as well as providing service and volunteer time to surrounding organizations and groups. Members will be encouraged to present current student-driven research projects. We are also striving to be both a quality service and volunteer club. Fundraising efforts will support the clubs goal of providing opportunities for professional development and relationship building. If you would like more information about the Exercise Science Club or how to join, please contact Dr. Kristin Shuman at kristin.shuman@cuaa.edu.